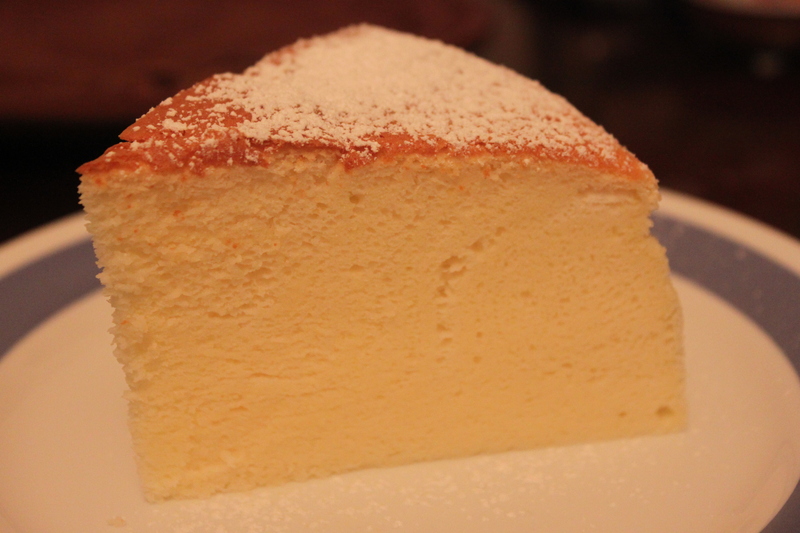 You may like my recipe for Japanese Yogurt cotton cheesecake if you’re a big fan of this soft like cloud cheesecake. Last week when buying Ricotta cheese, I tentatively used it for making Lasagna, which is as old as a fairy tale; however, my store-bought Ricotta was too big to use it all since my baking pan was small enough for 4 persons. I quickly used the leftover for our dinner dessert and this cheesecake came to my head, unintentionally. Why ? I was watching Cooking with the Dog (Oh my, am I freely advertising this channel but Francis the dog is so cute that I like watching him again and again ) and thinking of something Japanese. 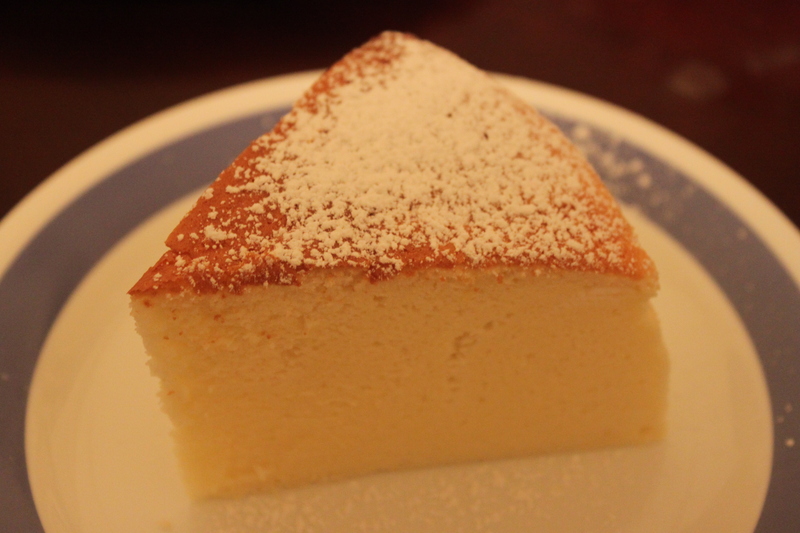 Not only is Ricotta cheesecake tangy but also sweet flavored. Ricotta itself is not as sour as the regular cheese so that Ricotta does not bring you the vinegar feeling. 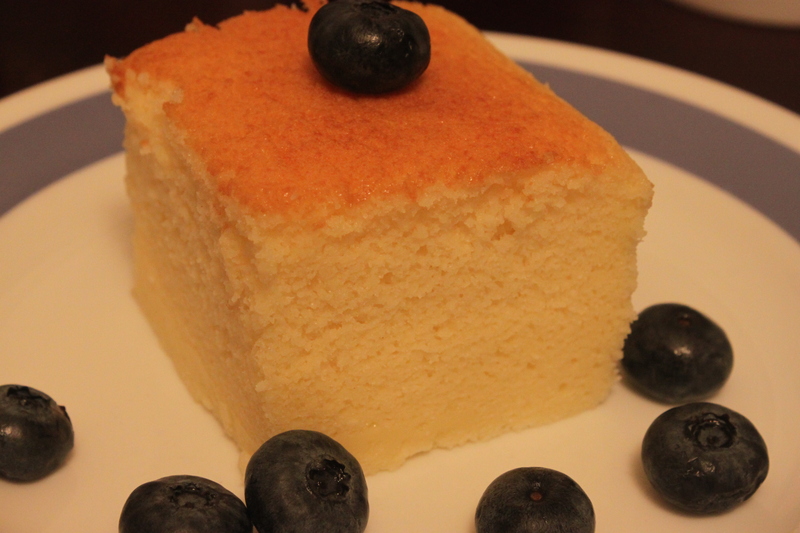 I like serving this cake with jam (ideally strawberry jam or preservatives) or blueberry or any kind of fruits that you like. Serve warm or cold has its own taste and sometimes, I’m so gluttonous that this cake has no chance to be served when it’s cold. – In a double boiler, melt butter, amaretto, cheese and heavy cream with 30 g sugar until combined. 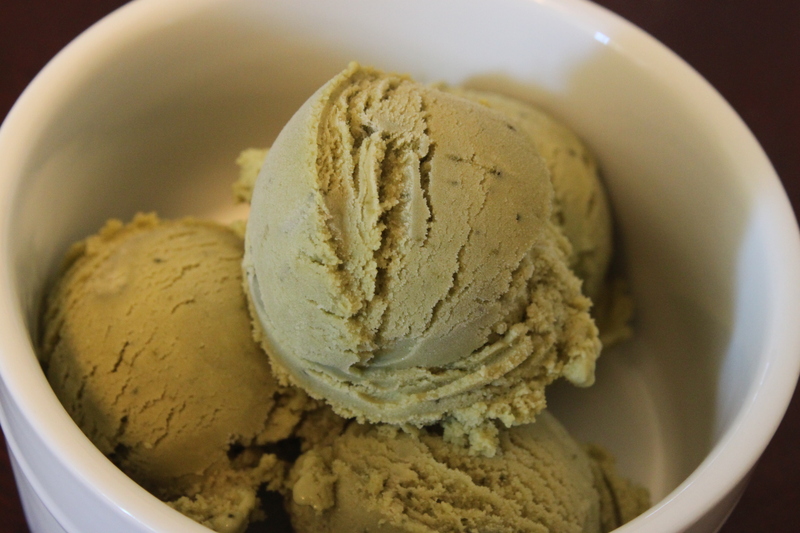 Set the bowl aside for 10 – 15 minutes to cool down. – Lightly beat the egg yolks then gradually mix in the cheese mixture. – Sift the cake flour and gently fold in the yolk mixture. – Use a fine mesh strainer, strain the yolk and cheese mixture to have a very fine mixture. – Beat the egg whites with 100 g sugar at low speed until the beaten whites reach stiff peak. – Use a whisk to fold the whites to the yolk mixture. 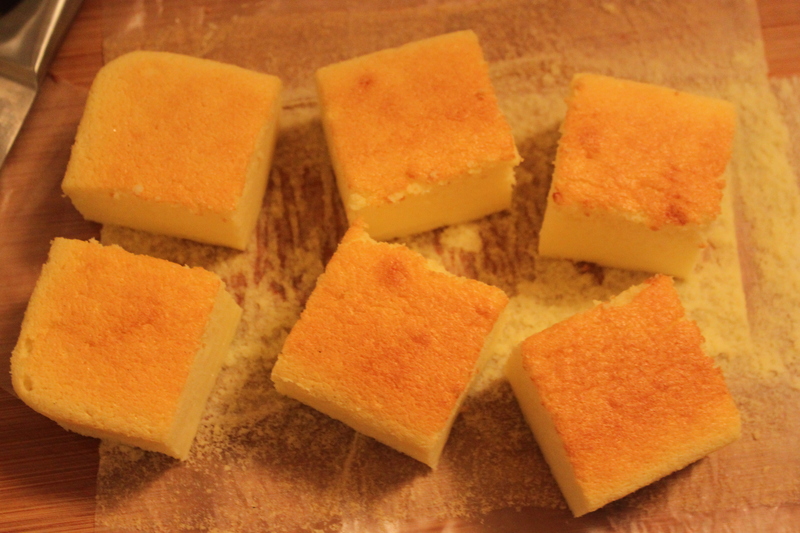 – Use bread pan (as I used here) or any mold you like to steam bake the cake at 300 F (150 C) for 1 hour and 10 minutes. – Let the cake sit in the open oven for 5 minutes before unmolding. This technique can prevent the cake from shrinking. I think sushi is the all in one good eat that can not only make you feel full easily but also consist of enough nutrition for a good health. I’ve never been to Japan to luckily enjoy the original sushi there but here in America, Japanese restaurants are ubiquitous so that my sushi craving can be resolved anytime. 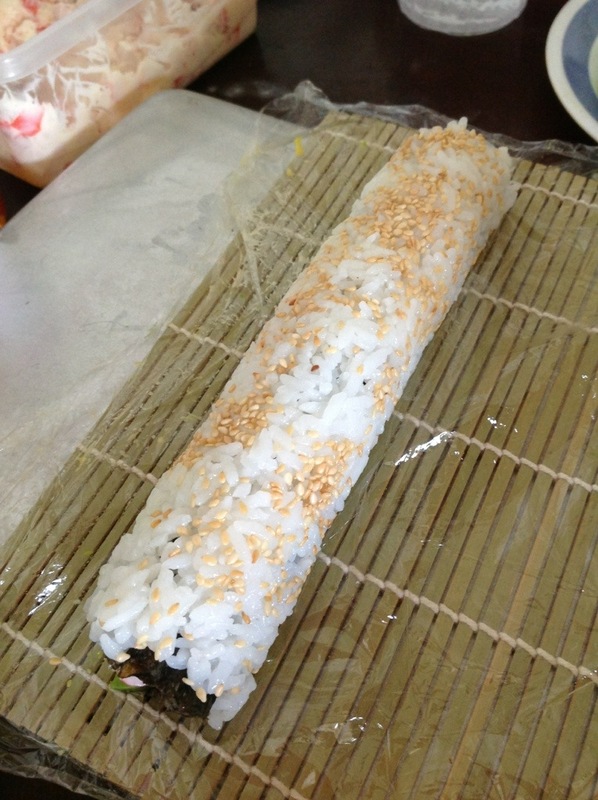 Sushi in America has its own name, depending on where that sushi originates from. Correct me if you find that American sushi has the same name as its brother in Japan. 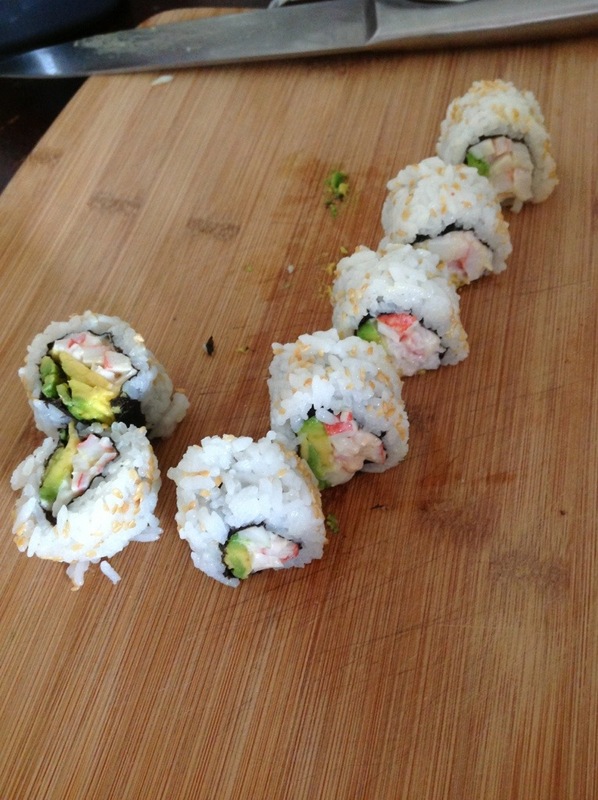 California roll, well, its name probably tells you where it is from. 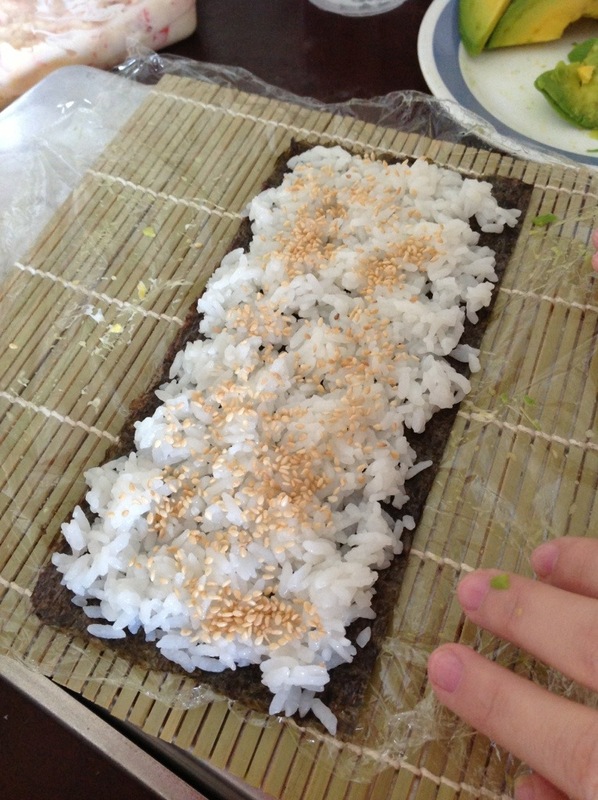 This sushi is very easy to make and of course, very easy to eat. 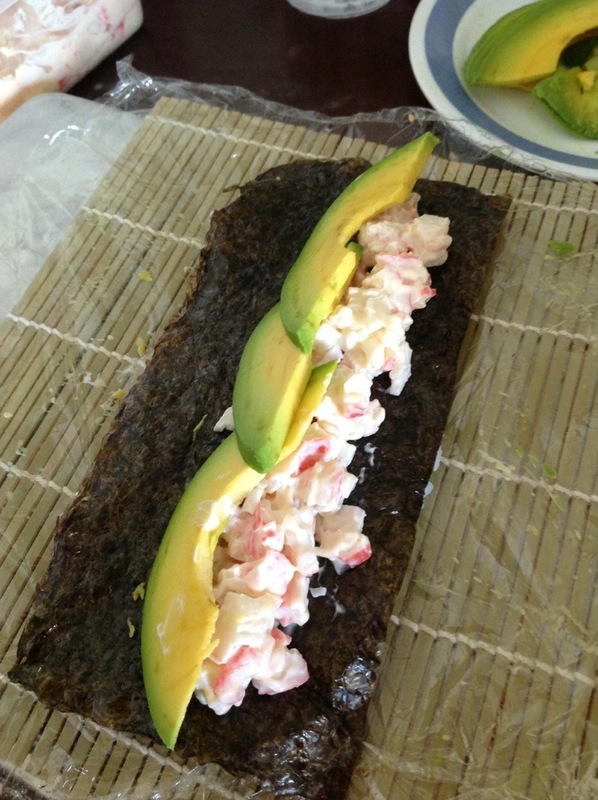 I’m not a big fan of avocado but the combination of this fruit and crab really balance the flavor of the sushi. 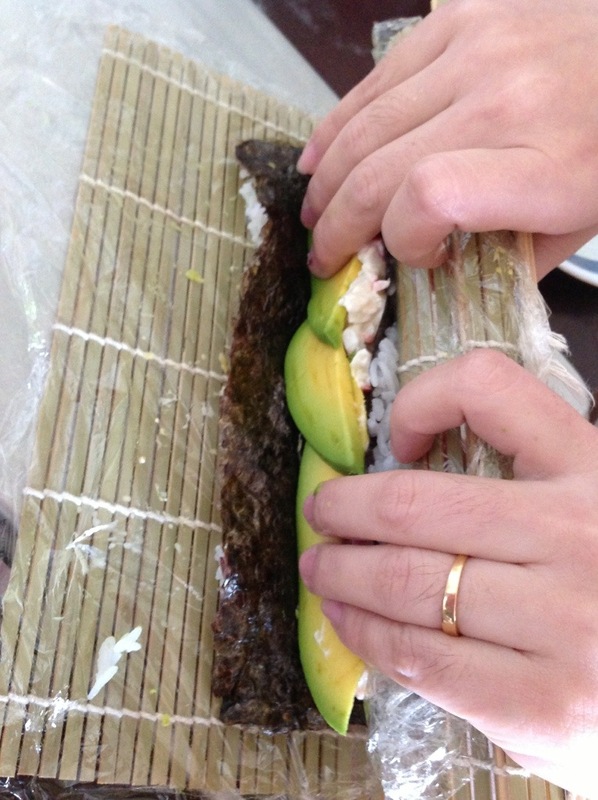 You shouldn’t be intimidated when rolling sushi. Just practice and practice. 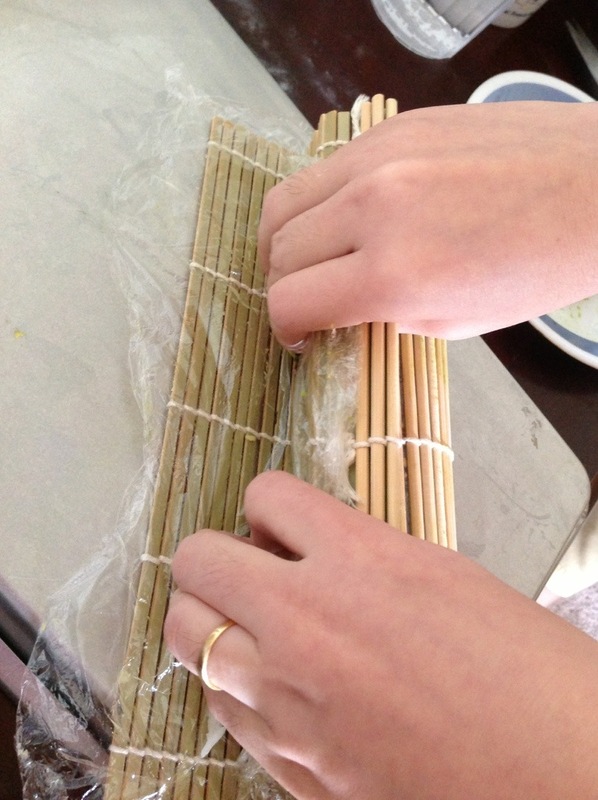 – Note that you should use a sharp knife when cutting the sushi. After each slide, use a damp cloth to clean the knife. This tip can help you have a beautiful cut.